You can display Facebook pages within your Juicer social feed. You can also add photo albums. 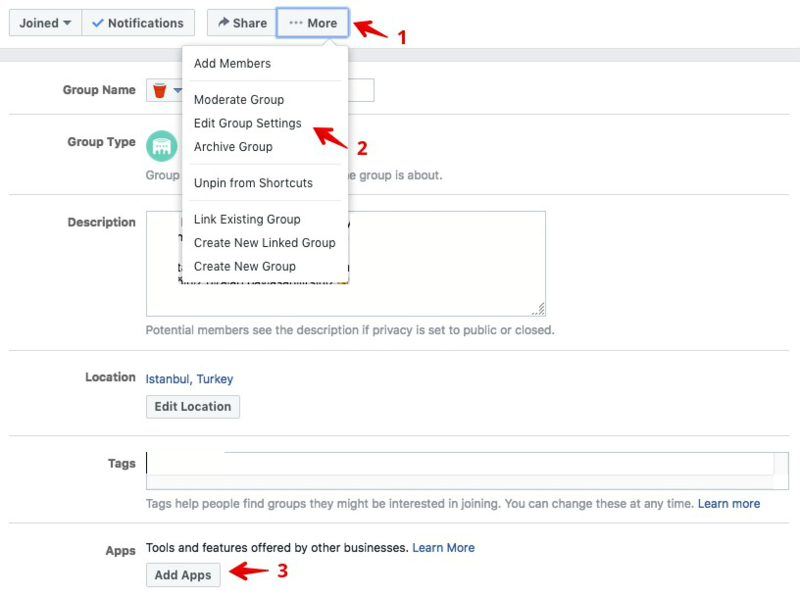 When you first add a Facebook source into your Juicer feed, you'll be presented with the "Username" option, which is asking for the URL of a public Facebook page. A vanity URL is required to easily add this source. For example: https://www.facebook.com/juicerio. If you don't have a vanity URL set up, and your Facebook page URL contains a long string of numbers (the page ID number), like this: https://www.facebook.com/juicerio-701946596554660, you can simply enter the ID number, which in this case is 701946596554660 . Please make sure that your Facebook page does not have age or country restrictions enabled, or this will prevent Juicer from displaying your profile image and potentially cause other problems. 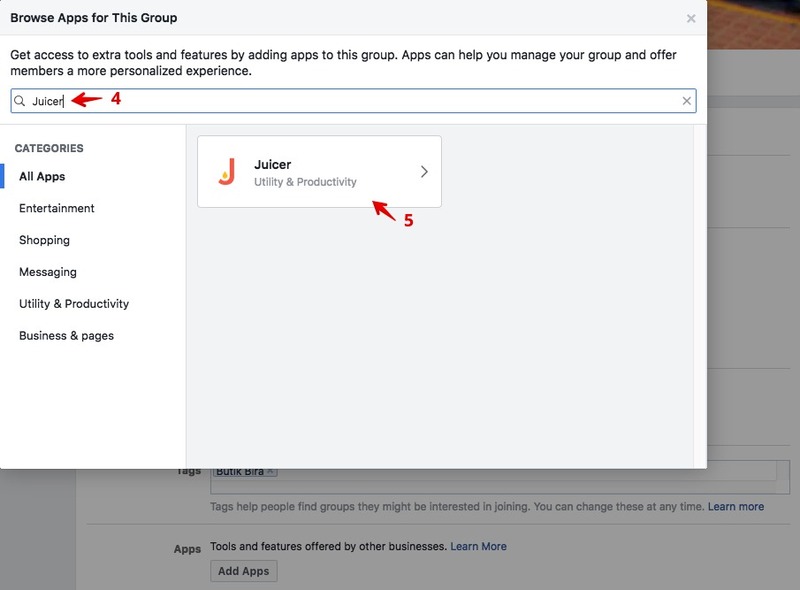 Then, return to Juicer and try adding your Group again. You can add a Facebook photo album as a source to your Juicer feed, provided that album is public (try viewing the URL when logged out from Facebook to test if it is public). If it is, your album should have a URL similar to: https://www.facebook.com/pg/juicerio/photos/?album_id=808281485921170. Copy and paste the album ID number (only the number) from that URL, then add a tilde in front of it when adding it into Juicer, like so: ~808281485921170 . Juicer should pull in the photos from that album, and new posts going forward. Click the "Personal Account" tab when adding your new Facebook source. 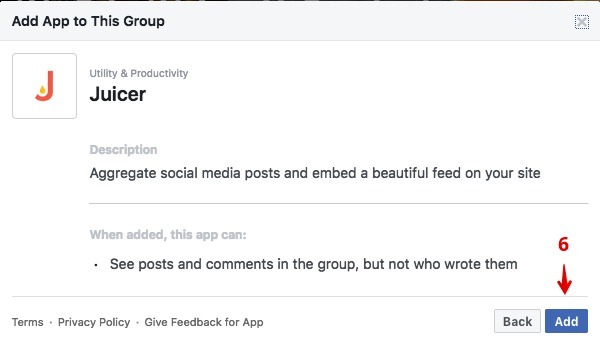 For Juicer to display your posts, you will also need to connect your personal Facebook account on the Connected Social Accounts page. Please note that Facebook will automatically expire this connection every two months as a security measure. Juicer will automatically email you to remind you to re-connect when this happens.